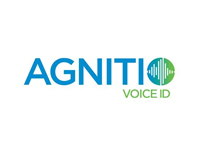 AGNITIO is the worldwide leading provider of voice biometric products for law enforcement, intelligence organizations and corporate customers, including leading financial institutions, call centers and telco providers. AGNITIO was founded in 2004 as a spin-off a leading European university. Its products are the result of state of the art technology (Language and text independent) and more than 10 years of close collaboration with law enforcement organizations. Intelligence organizations, security forces and corporate customers on four continents are using AGNITIO’s products in real life operations, in more than 40 different countries.